Due to the reputation of cars like the 1970s AMC Ambassador for being ugly and frumpy, and the 1950s Nash Ambassador for being weird and frumpy, most car enthusiasts might not know that Ambassador is actually a storied name originally applied to cars of a certain level of prestige. In fact, Prince Wilhelm of Sweden and Norway purchased one in 1927, and from a style perspective, they seem to stack up with contemporary models from the three Ps (Packard, Pierce-Arrow, and Peerless) and the Cord-Auburn end of the CAD triumvirate. But we’re not here to talk about past glories, because those cars are well out of the four-figure price range. 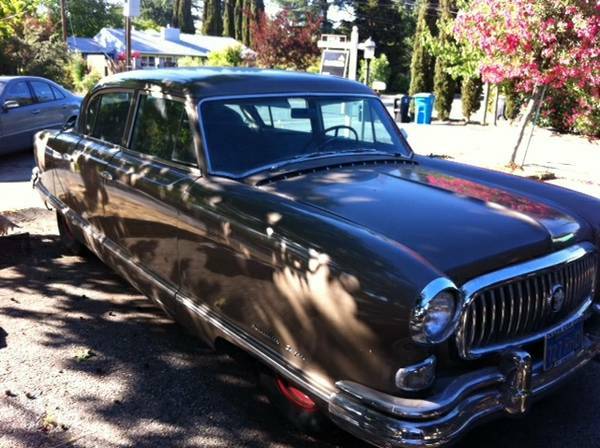 Instead, take a look at this 1955 Nash Ambassador, for sale for $3500 in Redwood City, CA. VW Beetles are still so common in the western states that it’s often hard to get too excited about them, unless they have some special feature. And by the late 1970s, Beetles were antiquated cars, largely superseded by the Rabbit/Golf and Jetta, and the convertible awaiting replacement by the 1980 Rabbit Convertible. However, they did benefit from updates such as fuel injection to pass the new emissions standards, better impact protection, a catalytic converter, rack and pinion steering, and strut suspension, along with minor luxuries we would now expect as standard. As one of the last true convertibles to be sold before the expected ban on open-top cars, various special editions were made. 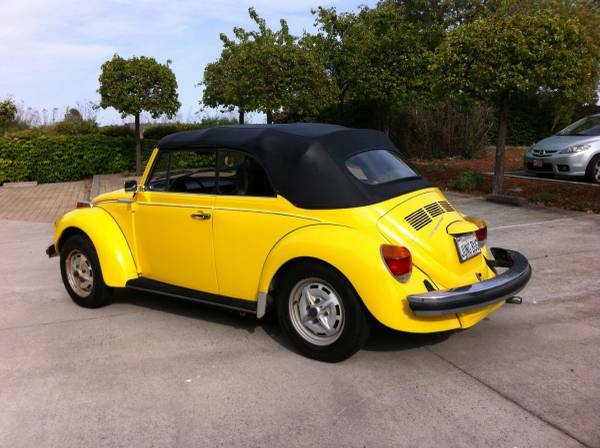 Today’s car is not one of those, but it does benefit from many of the end-of-days upgrades – check out this 1976 VW Super Beetle Convertible, for sale for $4000 somewhere on the San Francisco peninsula, CA. Many people will have you believe that shortly after today’s featured Buick was built, everything went downhill. The feds forced big bumpers, impact bars, smog equipment and retarded timing on cars and made them into shriveled up versions of their former selves. But that’s not entirely true, as some interesting solutions came out of those difficult times, including one of the first truly successful applications of turbocharging to a passenger car (yes anoraks, Corvairs and BMW 2002 turbos came first). 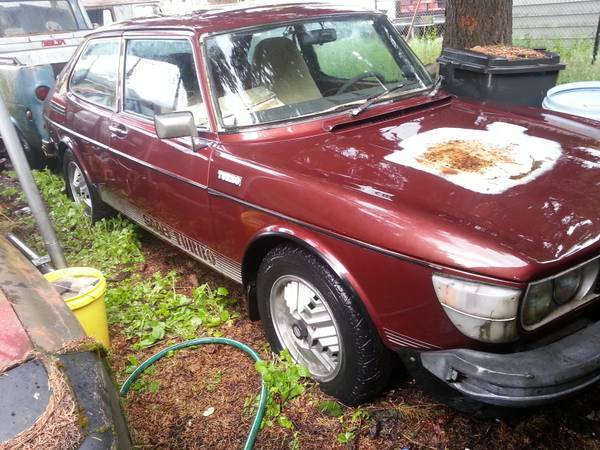 Have a look at this 1978 Saab 99 turbo, for sale for $900 in Portland, OR.